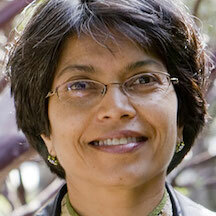 Saba Mahmood, a professor of anthropology at the University of California, Berkeley, died on March 10. She was 56 years old and had suffered from pancreatic cancer. A native of Quetta in Pakistan, Professor Mahmood came to the United States in 1981 to study art and architecture at the University of Washington. She went on to earn a Ph.D. in anthropology at Stanford University. Dr. Mahmood taught at the University of Chicago until joining the faculty at the University of California Berkeley in 2004. She was affiliated with the Center for Middle Eastern Studies, the Program in Critical Theory and the Institute for South Asian Studies. She taught in the Fall 2017 semester before taking medical leave. Mahmood was the single author of Religious Difference in a Secular Age: A Minority Report (Princeton University Press, 2015) and Politics of Piety: the Islamic Revival and the Feminist Subject (Princeton University Press, 2005).